To share what's in your bag, please contact us and we'll put together a post. Thanks! ​A little bit about me— I kinda fell in love with professional filmmaking as just a hobby and something that I dabbled with on the side. All of my gear has stemmed from the original challenge from my wife to be able to pay off my first camera (Canon 5D mkIII) by attracting paying clients. Not having ever owned a DSLR before the 5D mkIII, I was determined to not only master how to take a proper photograph on it but also to be able to shoot amazing videos that others would one day want to hire me for. Five short years later, I have expanded my gear quite a bit and I am thankful for all the opportunities that I have gotten to share stories using the gear. I am constantly learning about new things and never want to stop growing in how to capture stories better. I hope my sharing this is somewhat helpful to you as you contemplate what will work best for you as you work hard to tell meaningful stories through video as well. ​My main camera is the Canon C100 mkII, and I upgraded from the Canon 5D mkIII mainly because of the video features that are so useful and it’s great that it’s built in. Particularly, I love the ND filters, focus assist features in the LCD monitor, XLR inputs and overall sound monitoring capabilities. After starting off on the 5D mkIII I found myself wanting all of these features and getting a bunch of accessories just didn’t make sense. Also, the Dual Pixel autofocus on C100 has become a must-have for me and something that is proven to be ultra-reliable. I still use the Canon 5D mkIII and my older Canon 5D mkII as my backup cameras and for getting different angles in interviews or during wedding ceremonies/receptions. The 5DmkIII is also my go-to camera for photographic work and it's an awesome stills camera. Unlike most people in the industry who I see jumping from Canon and going to Sony or Panasonic - or anything else that touts 4K in a compact form factor - I have intentionally decided to stay with Canon mostly because I love the color science. But it's also because I cannot stand the compact form factor of the smaller cameras these days. I have big hands and I love the feel of a full-frame professional DSLR or Cinema Camera in my hands— the Canon grips are just right for me. The feel of a camera in your hands is very important to me and I still love Canon for that reason, among others. We agree with Marcus on his choice of cameras. Once you start using a C100, it's a little more difficult to go back to using DSLRs as a video A-cam. 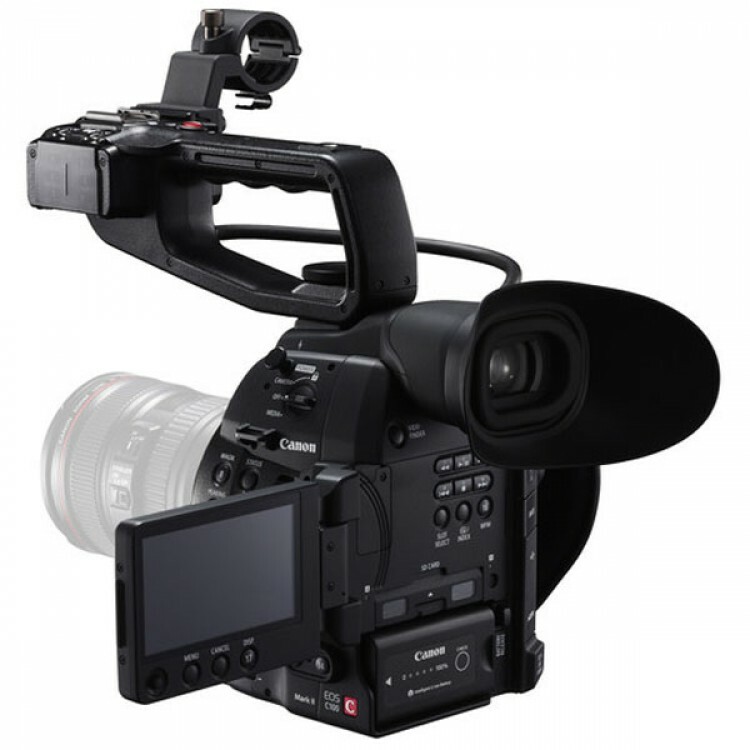 The ergonomics, feel, ND Filters, XLR inputs, and of course the Canon colors make the C100 a natural choice for wedding shooters. Right now, the C100 is still a 1080p camera, so it's tough for some to choose it over some of the compact mirrorless cameras from Sony or Panasonic. The GoPro Hero 5 is something that I just picked up for a recent family vacation, and paired with a Karma Grip it’s an incredible little camera that more than delivers in terms of picture quality. With its portability and multiple ways to use it (it’s completely waterproof!) this is such a great camera to add to any kit and have just in case you need to grab an action shot or capture super slow motion. All of my glass is Canon EF L-series because I want the absolute best in terms of image quality, weather-seal, and dependability. The Canon 24-70mm f/2.8L II is my go-to lens for video (as well as photo), but recently I have been contemplating selling it and getting the Canon 24-105mm f/4L IS II because I feel like the build quality of the new 24-105mm is comparable to the 24-70mm and the IS will more than make up for the difference between f/2.8 and f/4. The Canon 70-200mm f/2.8L IS II is a must-have for events such as ceremonies, receptions, and other live events because it allows you to get those tight shots with such crisp and beautiful image quality. 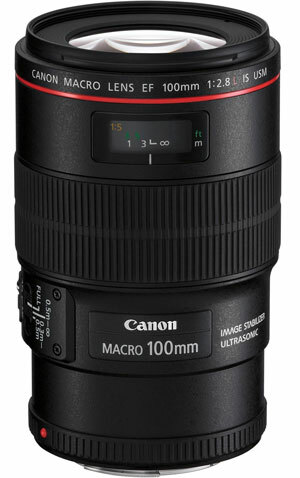 For weddings, I tend to use this lens for about 75% of the day outside of the close-up portrait sessions. I also use it for interviews when I want to get a nice shallow depth of field. The Canon ﻿﻿5﻿﻿0mm﻿﻿ f/1.2L is a great lens when it comes to artsy b-roll capture and also when I want to travel lighter and challenge myself not to rely on a zoom. It’s also so helpful to have the extra stops of light when shooting in low-light situations — which wedding receptions are notoriously known for. The Canon 100mm f/2.8L IS is a speciality lens that barely comes out of the bag but is a great option to get those super detail shots. I’ve also shot interviews with this lens because the bokeh is very pleasing when shooting wide open. Photographers love the Canon 24-70mm, whereas videographers prefer the 24-105mm as their primary lens. It's not as sharp, but it has Image Stabilization, and that's a much bigger deal in video than sharpness. 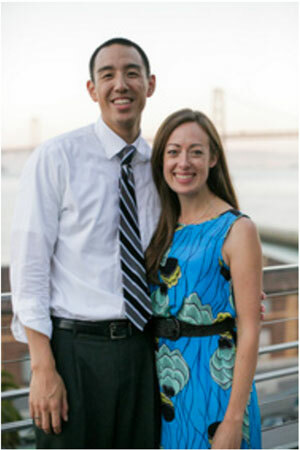 It's a difficult choice for people like Marcus who are both photographers and videographers. ​For us, we really don't think audiences are aware of sharpness differences in video, as much as they are in blown up photographs. They are watching the video story more than anything else, and often they're watching it in 720p or less. One thing we'd add is the 100mm f/2.8 IS is a perfect "bonus" lens. But on a C100, a specialty super wide angle lens like the very affordable Canon 10-18mm or Tokina ﻿﻿11-16mm would be a huge addition to Marcus's kit, which doesn't have anything below 24mm. After flying the DJI Phantom 4 as my first drone in July 2016, I quickly learned how to operate the thing, having crashed it a number of times and I actually learning a lot from each mishap. I immediately fell in love with the amazing shots it was able to capture and just how mind-blowing it was that I could send and control a video camera that high in the air and get shots that I never dreamed were possible. Then they announced the DJI Mavic Pro and I didn’t really think much of it until I saw another wedding videographer use one - he was so impressed that he sold his DJI Inspire 1 to just rely solely on the Mavic. The portability and comparable image quality to the Phantom 4 made me question why I was lugging around a huge drone when I could go the small/portable route. Needless to say I sold the Phantom 4 and purchased the Mavic and I am really happy that I did. This drone is everything it is advertised to be. I love that I can bring it with me wherever and then capture some epic shots with it after a few quick minutes of setup. Most of all, I love that I don’t have to take on/off the propellers each time! Be forewarned, this drone does get really hot and my one complaint is with the optional DJI ND Filters that I bought - the build quality is complete trash. I have already snapped two of the three filter lenses and I plan on trying out a different brand of ND filters— a must have when flying in bright daylight! I also don’t have a case for this because it neatly fits within any of my existing cases— a big reason why I got this drone! 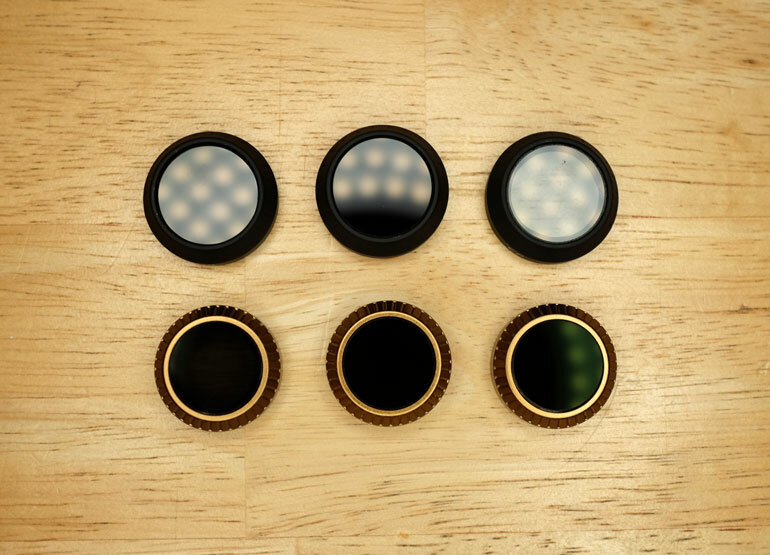 We think ND filters should come standard with every drone, that's how essential they are to shooting quality video. While many ND sets come with an ND4, ND8, and ND16, we find ND32 is totally necessary on bright sunny days. Currently the PolarPro Cinema Series - Shutter Line - is the best set on the market for the Mavic Pro. We do a whole review here. Audio is one of the scariest things (lighting has been the scariest for me!) to invest in— and it’s not because I don’t think quality audio is important— I totally do! It was scary initially because my ears cannot perceive the quality and I often still have a hard time when editing audio and feeling confident that I am capturing it at the best quality as possible (disclaimer: I am not a film school grad or a sound engineer or have any former training/background/experience in professional video or audio). With all that said, one of my first purchases was the Rode ﻿VideoMic back when I was using a mini-DV tape-based camcorder. Right away, I could tell that the external microphone was paying off. So, as I grew with the DSLR revolution I continued to invest in all things Rode. I believe that their company produces such innovative and well made products that I continue to stick with that brand. Upgrading to the Rode VideoMic Pro was worth it for the fact that I could utilize its cleaner gain controls and bypass the noisy pre-amp on the Canon 5D mkIII. For interviews, I either use the Rode NTG4+ mounted on the Rode Blimp System, held up by the Rode Boompole Pro Carbon Fiber, or if I am in a pinch for setup time then I tend to utilize the Rode Wireless Filmmaker Kit. In interview situations, I usually run everything into my Canon C100 mkII and avoid having to deal with syncing in post. But for live events or weddings I will use a Tascam DR-40 and run that into the DJ’s sound board. Honestly, I feel like the DR-40 is not the most reliable recorder and I am open to other alternatives. Marcus has an excellent audio kit that gives him good B-roll audio with an on-camera shotgun, as well as a good wireless lav system (the Rodelink), and a solid boom mic interview kit. For interviews, we've found that instead of choosing between a boom and a lav setup, it's much safer to use both. Then in post, you can choose which source is better, and often a combination of the two is actually really pleasant sounding. 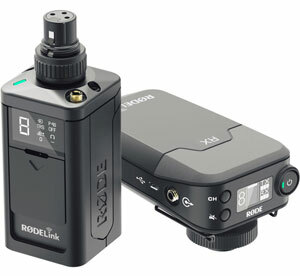 Rode also has a Rodelink Newsshooter Kit that sends the boom pic wirelessly to the camera, so both boom and lav could be setup without cables. As mentioned before, lights have been the scariest element and the last piece to the kit puzzle for me. There are countless options on the type of light, let alone the brand and features of every single light— which has led me to simply avoid it altogether and play the “I shoot with natural light only (and some reflectors/diffusers of course)” card whenever I felt bad that my lighting setup was so inadequate. So now my kit includes the Dracast LED500 Pro Bi-Color LED light, Dracast LED1000 Plus Bi-Color LED light, and the Luxli Viola 5’’ Multi-Color LED On-Came﻿ra light as my main three-light setup. I have yet to put these to use so I can’t speak much about my experience with them, but I will say that after much research I decided to try out the Dracast 500 and 1000 because of a couple of reasons. I have heard nothing but positive reviews about the build quality and durability of Dracast lights, and I tend to invest in brands that are well known for consistently putting out quality products. I also decided on LED lights because of the heat issue with other traditional lights and also the portability of such panels. 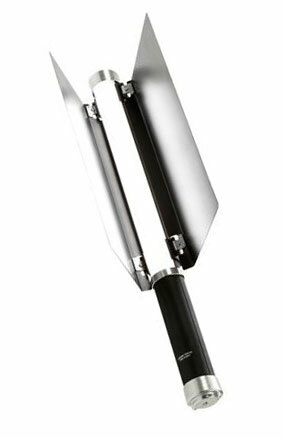 Digital Filmmaker had me thinking about going with a Westcott Ice Light 2, but I ultimately decided to go with a traditional panel because of the form factor. There’s something about having professional looking gear that helps in any paid shoot, to relax the client/talent and reassure them that we know exactly what we’re doing. And as a budding filmmaker with absolutely no experience in any professional studio— I am figuring it out as I go and am trying to minimize the number and impact of my mistakes along the way! Marcus is right! It's important to use gear that embodies professionalism when you're being paid for video work, and the Westcott Ice Light has an unexpected, strange look for anyone expecting traditional light panels. (But if you're confident about it, you can convince anyone that you know what you're doing). And we agree, it's really easy to feel overwhelmed in the lighting arena, where there are thousands of choices, and everyone appears to be an expert in traditional lighting. We've found that there's no need to try to do whatever is "right" or "traditional" when you're shooting your own videos. You can use 1, or 3, or 10 lights, in different arrangements, it doesn't matter. Does it look good to you? Then go with it. The support gear that I use is mainly the Manfrotto MVM500A Monopod for about 90% of any shoot that I am on, except for live events with a static locked off shot— in which case I use the Manfrotto MVT535AQ tripod and 504HD fluid head. The Manfrotto monopod is such a great tool simply because I can change my position within a couple seconds and I can get in tight spaces and not worry about having to be handheld or shaky with my C100. However, the biggest drawback to the Manfrotto video monopod is that it doesn’t have a locking base where I can lock the main column and leave it standing on its own. Without that feature, I have to take off my quick release plate (and the camera mounted to it) every time I need to put the monopod down— a minor annoyance and time issue. I also recently purchased the Letus Helix Jr. Aluminum to fly either my C100 or 5D mkIII, and it is something that I am getting used to using— having only tried it out a couple times. Before stepping into the 3-axis gimbal arena, I have always relied on the Varavon Slidecam Lite to help me pull off cinematic shots where a slight movement just took the shot to another level. This is not the fanciest or smoothest slider out there but it has gotten the job done, and Varavon is known for being an affordable yet customer-friendly company. If you can’t tell, I tend to be a loyal customer and stick with brands that believe in high quality products and customer service. Marcus has it figured out. The Monopod is the single best tool for fast and effective shooting on weddings or documentary shoots. And if you have a slider that works for you, that's great! 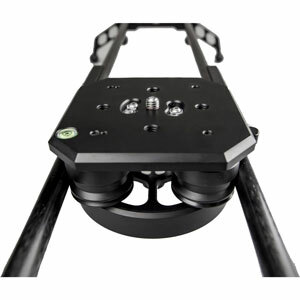 Even at the very high end of sliders or dolly systems, they still pretty much do the same thing, so use what you like. We've been kind of satisfied with a number of sliders over the years, but the Cinevate Duzi v4 with the Flywheel is the first slider we absolutely love. And we're very happy to hear Marcus is carefully getting into the Letus Helix Jr. There's a learning curve with any gimbal, but once you figure it out, it becomes impossible to leave it behind on any shoot. 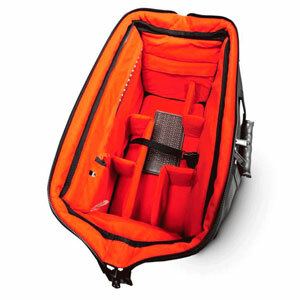 Last but not least is the gear that holds all your gear — the bags and cases! My wife thinks I am a bit over the top with the amount of bags that I have but I am a firm believer that the gear we spend thousands of hard-earned dollars on is only as useful and accessible as the bag and protective case that it is being carried around in. The bags can make or break whether you are able to get a shot due to whether or not your gear is readily accessible at a moment’s notice, or even if it is able to hold up during the sometimes arduous transportation process to get to wherever you’re going to shoot. So after a number of bags that just sit in my closet (for some reason bags really aren’t that resellable on craigslist or ebay), I have settled on the Sachtler Dr. Bag 3 for my video setup, and the MindShift Gear 26L Backpack for my photo setup. The Petrol PMCCB1 holds all my audio gear, which in all honesty is just because I loved this bag for my previous camcorder setup, but have long since ditched that camera and had this bag lying around. It holds my audio gear quite nicely! A Pelican 1510 is for all other miscellaneous gear/lenses/stuff, whether it is photo or video related. The TrekPak dividers are such a nice addition to the 1510 case, simply because organization is key when you’re transporting all these little knick-knacks. And using the ThinkTank cable management 20, Powerhouse﻿ Air, and Red Whips help keep everything organized and are also must-haves. We're glad to see our favorite Sachtler Dr. Bag 3 in Marcus's gear kit as well. Great minds think alike?